takes place from July 6 to 8, 2018. 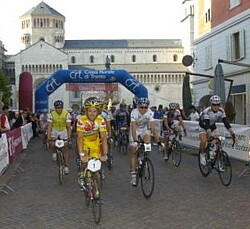 Around 40 riders from Luxemburg travelled with their supporters to Italy and participated on June 10, 2006, in the first edition of the cyclo-sport race Granfondo Charly Gaul in the region of Trento. 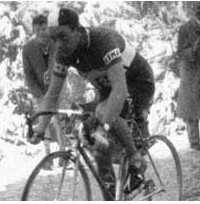 The finish of the race was placed on top of the Monte Bondone summit, a climb that became famous in the whole world after an epic Giro d'Italia stage in 1956, 50 year before, won in dramatic weather conditions by our very own Charly Gaul. 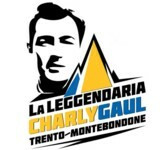 The event is now known as Leggendaria Charly Gaul Trento/Monte-Bondone and it has grown in a spectacular way: the 13th edition is from 6th to 8th of July 2018 with up to 4.000 expected contenders and a program over the whole week-end. Cyclosport-race «Granfondo Charly Gaul» on the slopes of the Monte Bondone ! 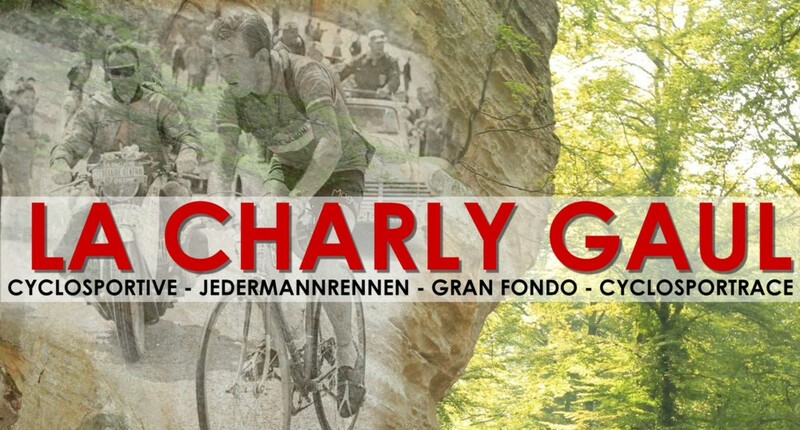 On Monday, February 13, 2006, the first edition of the "Gran Fondo Charly Gaul" was presented in Luxemburg by the Tourist office of Trento, in collaboration with the ACC Contern and the Foundation "Friends of Charly Gaul". Klick here to know more about this evening in Cessange. Since then, the event has grown and from a hundred participants in the opening edition, in 2006, the number of contenders has extended to more than 1000 after the third edition already, in 2008. The 13th edition of the race takes place from 6th to 8th of July, 2018.
that seems especially designed for them with Gilberto Simoni and his Elite Bike School (www.bikeschooltrentino.net) being the most famous ambassador for the Monte Bondone. The Gran Fondo Charly Gaul is an idea that came up in 2006 to celebrate the 50th anniversary of the legendary performance of Charly Gaul, when the Luxemburg climber arrived alone on top of the Monte Bondone 8 minutes ahead of the next chasers after a cold and wet day with rain and snow. The "Angel of the Mountain" could hardly get off his bike after the stage because of the cold, but he was on the way to take his first overall victory in the Giro d'Italia. 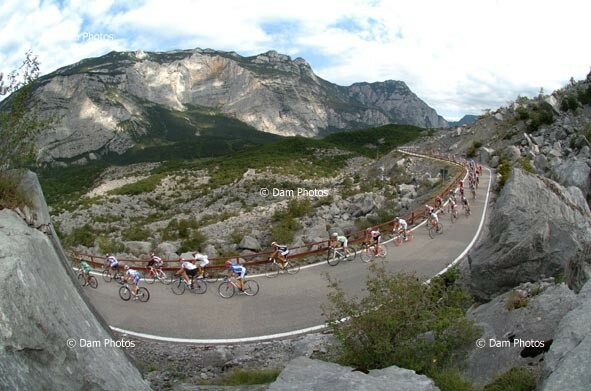 The first edition of the Gran Fondo was thus held in 2006 and the event has become a lot bigger since then, with two courses available containing of course, the ascent of the road up to the Monte Bondone. from the Piazza del Duomo in Trento to the numerous turns of the "Salita Charly Gaul" on the Monte Bondone, via the lakes and castles of the Valle dei Laghi or the famous village of Gamiga Terme. 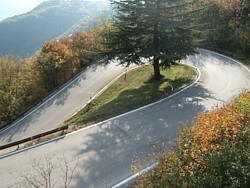 The longest course of around 150 kilometers has a change of altitude of about 4.000 metres and tackles minimum two bigger climbs with, of course, the Monte Bondone, the famous climb that was part of the Giro d'Italia in 1956 and 2006. The other course of about 60 kilometres also includes up to 2000 metres of climbing, with the biggest part of it being on the final ascent up to Vason and the Monte Bondone. There is also a time-trial of around 25 kilometres in 2016 again. The Gran Fondo Charly Gaul is part of the UCI World Cycling Tour of the Alpe Adria Tour and the Challenge Giordana. It is open to membres of the Udace, the FCI and all other sports federations who can present a valid medical certification for sport. 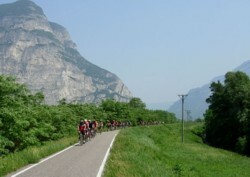 The event takes place in the middle of the summer and Trento and its region are ideal destinations to escape the heat. There are a lot of interesting touristic offers (www.apt.trento.it) to be found here. Some specific attractions are organized in relation with the Gran Fondo, for the riders and their supporters. The « Week-end leggendario » gives you the possibility to take part in some of those. Note: "This site contains links to other pages, on which content and presentation we don't have any influence. These refences are indicated merely for your information and and we can't be made reliable for any of the content of any of the places our links may take you to."